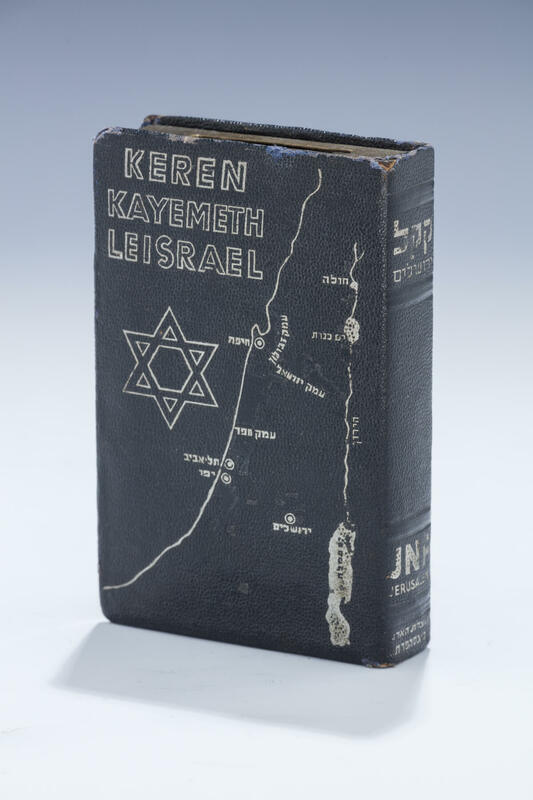 A KEREN KAYEMETH LEISRAEL CHARITY CONTAINER. C. 1950. 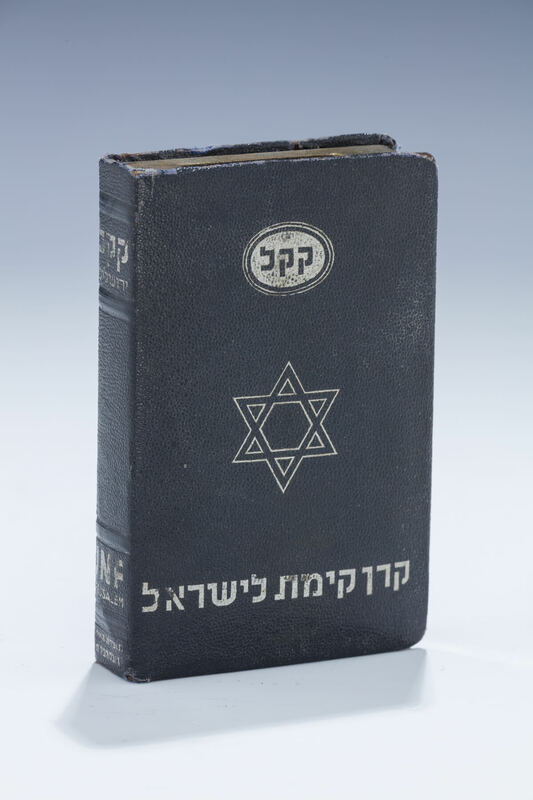 With black leather-like body and gold imprint of the map of Israel. 4.5” tall.